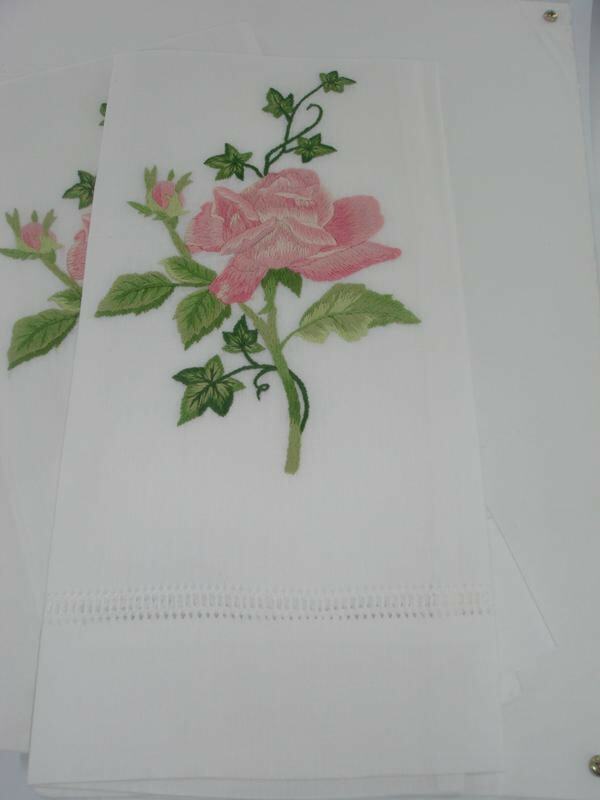 One linen hand towel with rose design. Made in France. White linen with pink and green embroidered rose flower.